No doubt the pun has been made before, but here it’s paired with a drawing, and a large part of the attraction of the cartoon is its charming graphic style — clean lines, intense colors, schematic but attentive to detail. 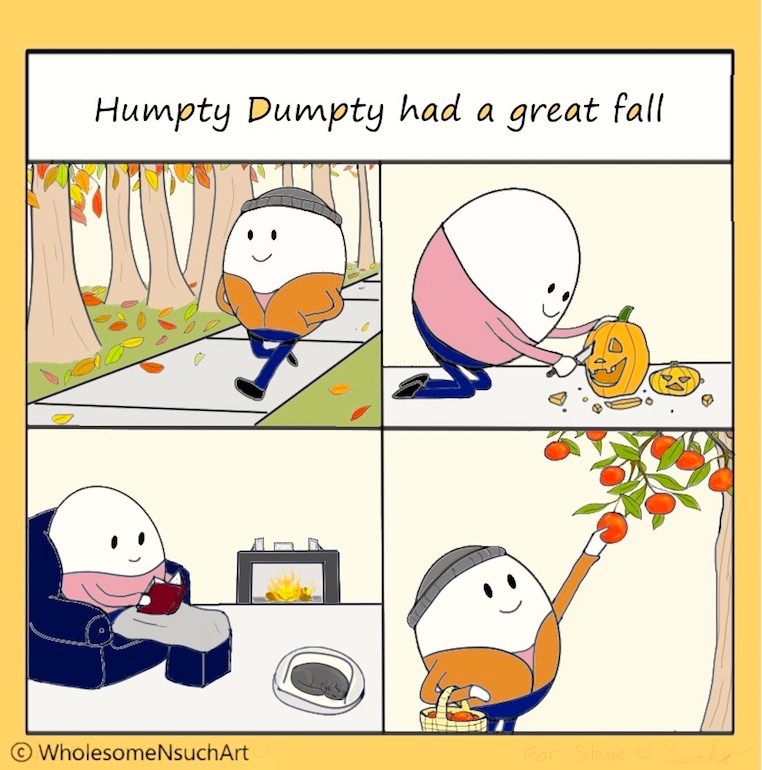 This entry was posted on October 5, 2018 at 7:19 am and is filed under Ambiguity, Linguistics in the comics, Puns. You can follow any responses to this entry through the RSS 2.0 feed. You can leave a response, or trackback from your own site.